This was a neat project! 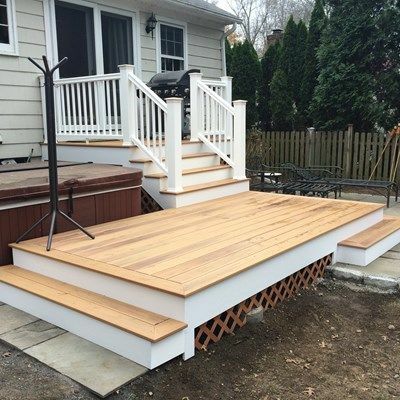 The customers old decking was taken up & replaced with beautiful composite Duralife Siesta Hardwood in Golden Teak. 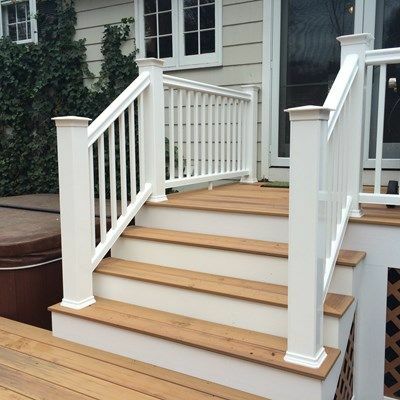 The new railings are the popular TimberTech Radiance Rail in white. 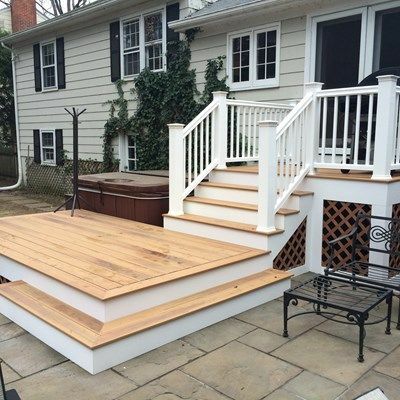 A lower deck with step pads was created for additional space & easy access to the hot tub. 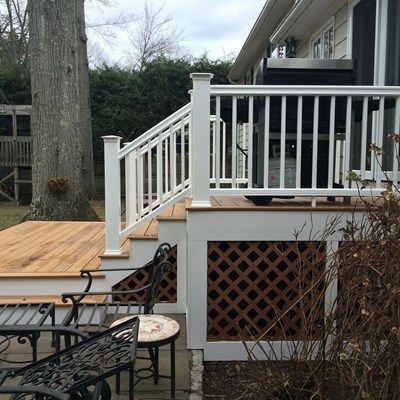 The picture framed lattice finishes off the deck nicely. 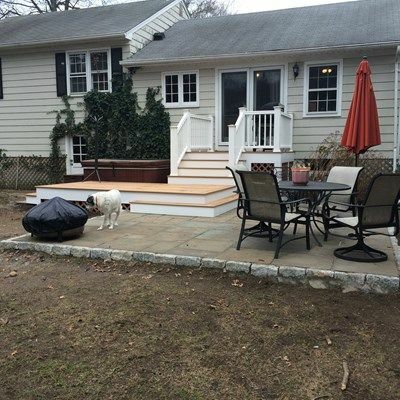 For the patio the existing Bluestone was removed, power washed, repointed and a Belgian Block border installed. 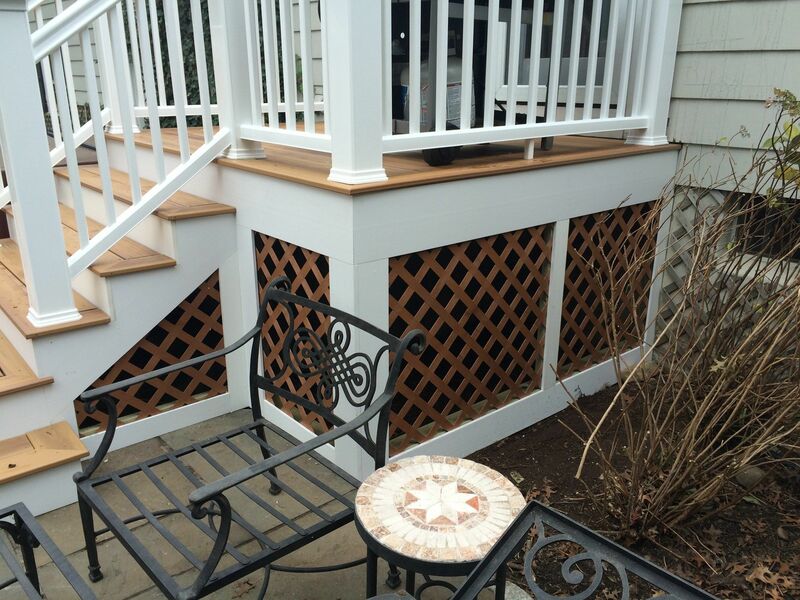 An additional Bluestone pad was created for a nice transition from yard to deck.